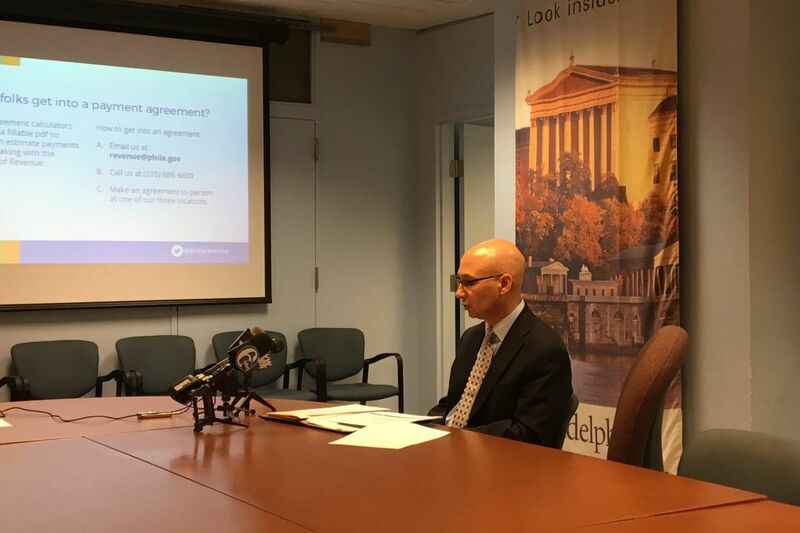 The new federal tax bill has taken center stage in recent weeks, but Philadelphia officials want residents to remember to pay their local taxes, too. His reminder comes as the city works on collecting delinquent taxes, and faces a budgeting challenge in Mayor Kenney's promise to fully fund the School District. From property tax to business tax to a school tax on unearned income that many people do not even know about, officials say they are working to improve collections. Philadelphia levies a tax on unearned income, which includes dividends and lottery or gambling prizes, at a rate of 3.8907 percent this year. All of this revenue goes to the School District of Philadelphia. About 40,000 residents pay it, and it raised more than $42 million in the last fiscal year – accounting for about 4 percent of the School District's tax income. But many residents who should be paying the school income tax are not even aware that it exists, Breslin said. The city shares information with the IRS to learn who should be paying the tax, Breslin said. Residents who should be paying receive letters, but the Revenue Department said it only pursues accounts with more than $3,000 in unearned income. Some taxpayers do not owe money on their unearned income because their expenses are greater than the tax. If residents won money gambling, for example, but had a net loss in gambling for the year, they do not owe taxes on the income. About 1,760 residents are subject to collection attempts, a city spokesman said. Last year, the city said those unpaid accounts totaled $2.5 million. The city has implemented new plans for paying delinquent business and income taxes. In the past, delinquent taxpayers had to put 50 percent of their balance down in order to enter a payment plan, and agree to pay the remainder within a year. Nearly $67 million is owed in delinquent business income and receipts taxes, according to a Revenue Department report. About two-thirds of businesses that owe money have likely gone out of business, the city estimates, hindering collection efforts. New options offer greater variety, including agreements for first-time delinquent taxpayers that give them a discount on penalties and offers payback plans as long as 60 months. "These plans provide a more practical solution for many businesses who want to become tax-compliant," Breslin said. "Taxpayers who cannot pay their taxes, we want them to be able to come into the department of revenue and sit down and work with a service representative." Flexible payment plans are already offered for real estate taxes – an area in which the city has long struggled with collections. But officials have boasted of recent success in collecting delinquent property taxes, with innovative approaches such as sending stern letters to taxpayers, a tactic that social science research shows is effective. A 2016 report by the National Tax Lien Association found that the city had $492 million in unpaid property taxes. The Revenue Department's own accounting of delinquent real estate taxes – which does not include debts as old as the Tax Lien Association's report – totaled $158 million in uncollected taxes as of June. Existing payment plans account for about a third of that amount, and the officials said they collected more than $116 million in delinquent real estate taxes in fiscal year 2017. Delinquent taxes are an issue the city will continue to face in 2018 – City Council is considering legislation to securitize tax liens, which means selling them to collection agencies.